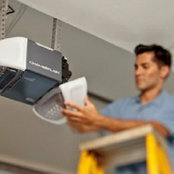 I trust EXPERT Garage Door to take care of my garage door and appreciate how well they take care of their customers. We are lucky to have such great technicians and I cannot recommend them enough! Professional, affordable and fast installation. great service. Arrived on time, explained the problem and fixed it quickly. I would use again. Friendly, competent service. Highly recommend them.